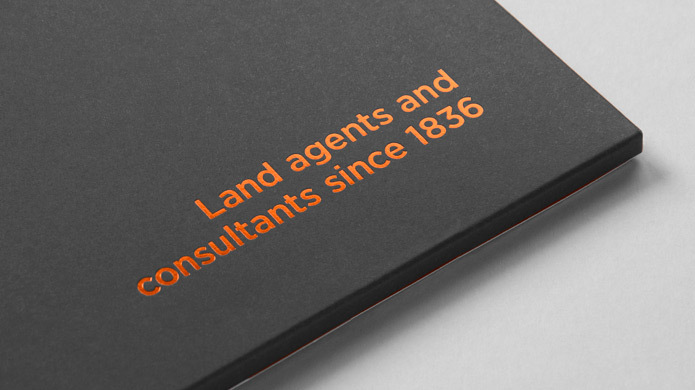 Branding and marketing land agents with over 180 years experience. 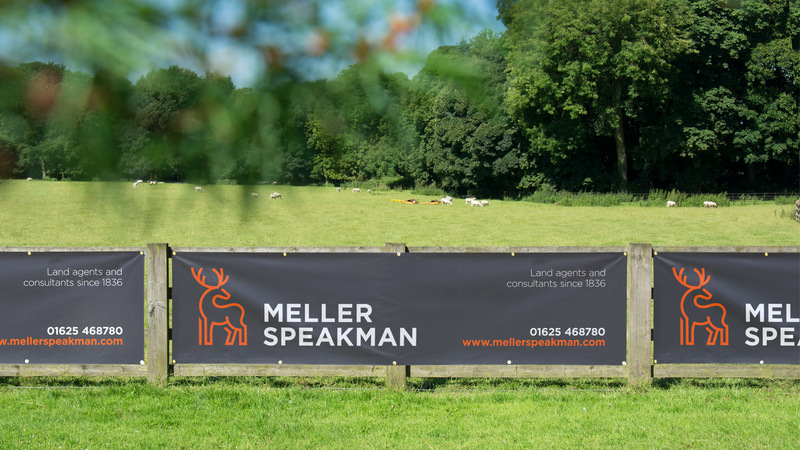 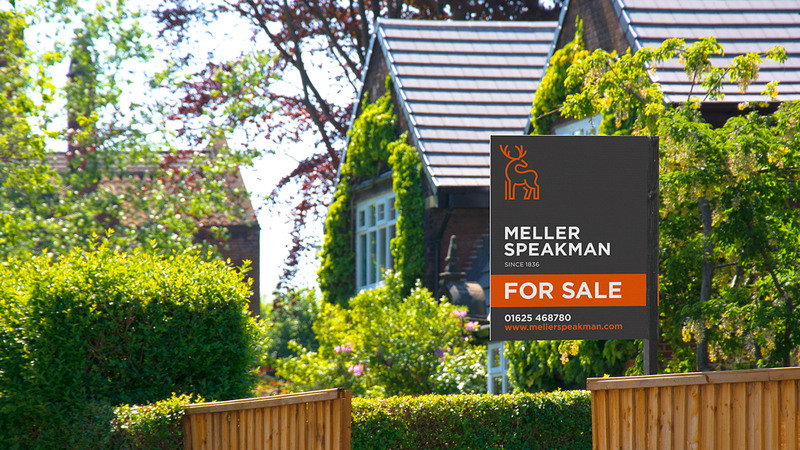 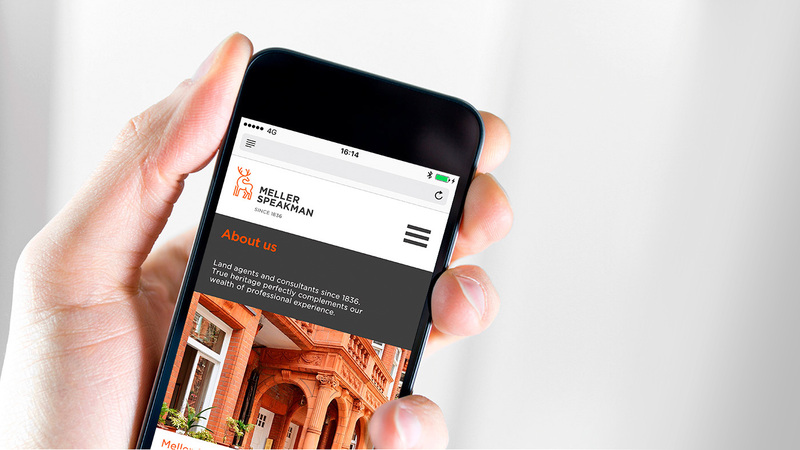 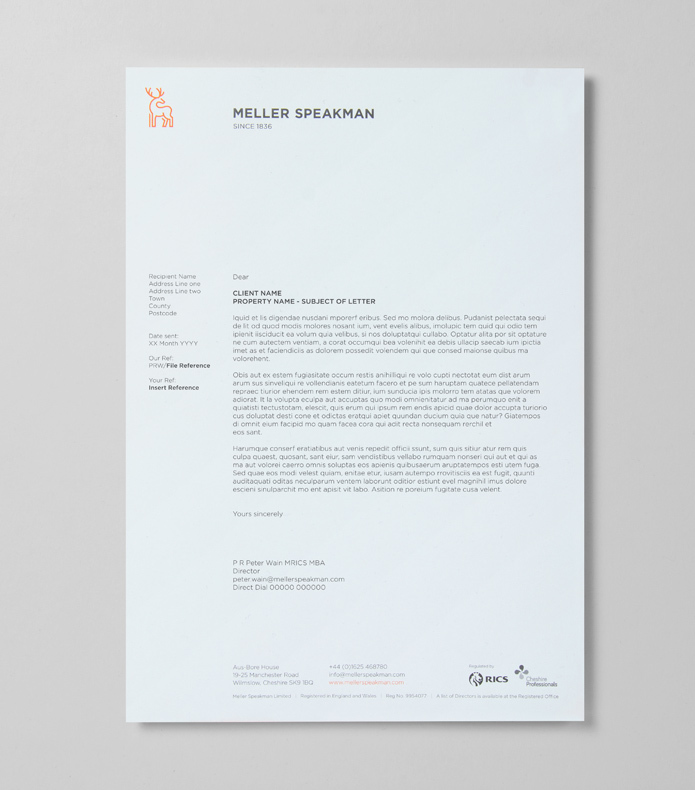 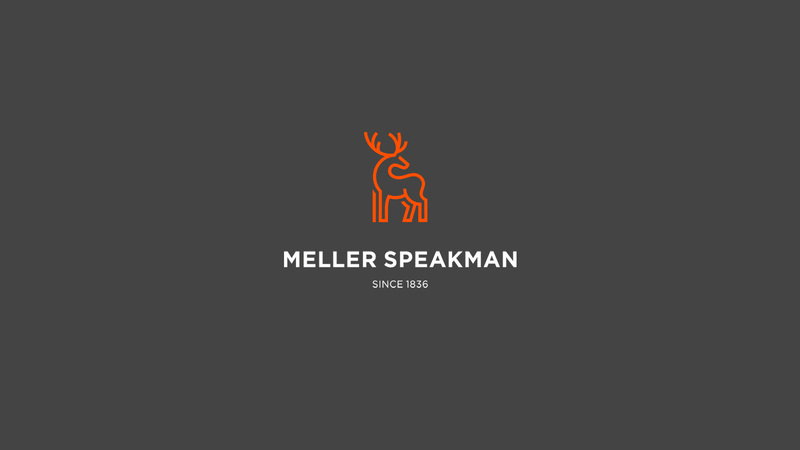 Formerly Meller Braggins Estates Plus, Meller Speakman are land agents and consultants within the affluent Cheshire region of the United Kingdom, since 1836. 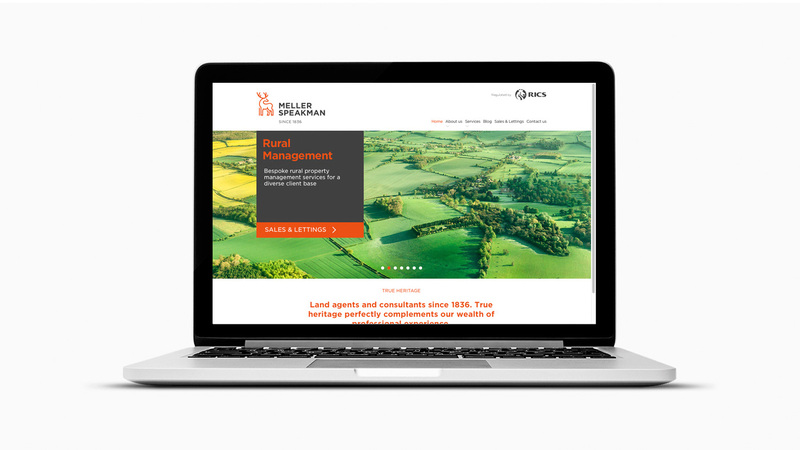 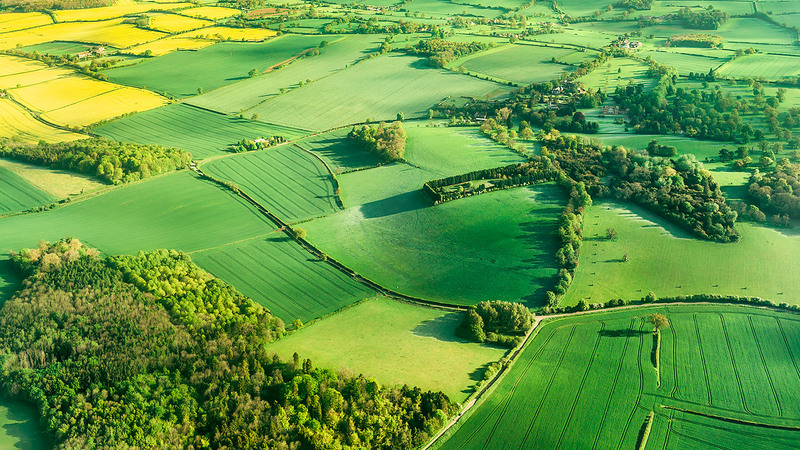 The company offers strategic estate management, rural and commercial property management, RICS registered valuations, development land advice and sales, sale of farms and land, digital mapping services and succession planning. 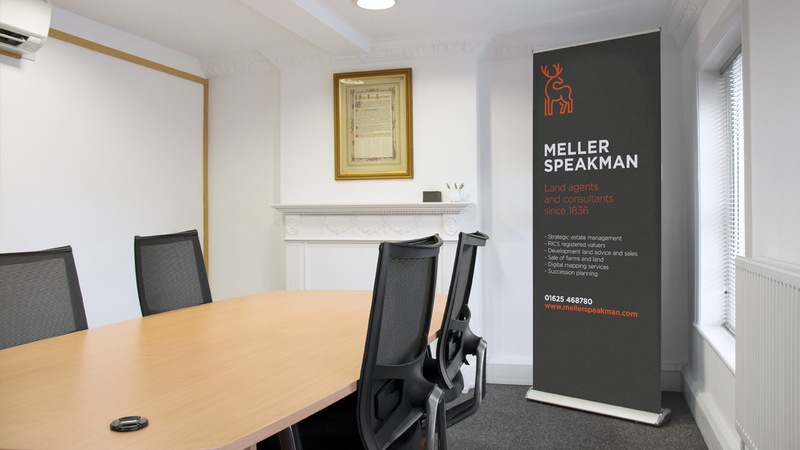 The company had undergone a restructure and relocation in 2016 and required a new name and image to mark this major leap forward. 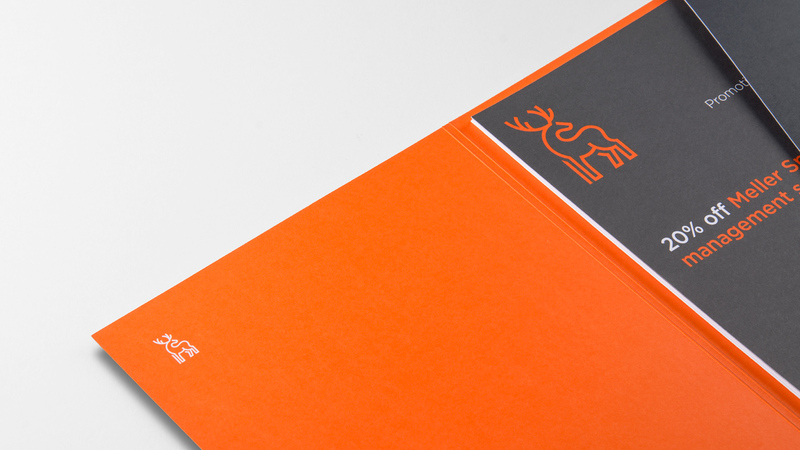 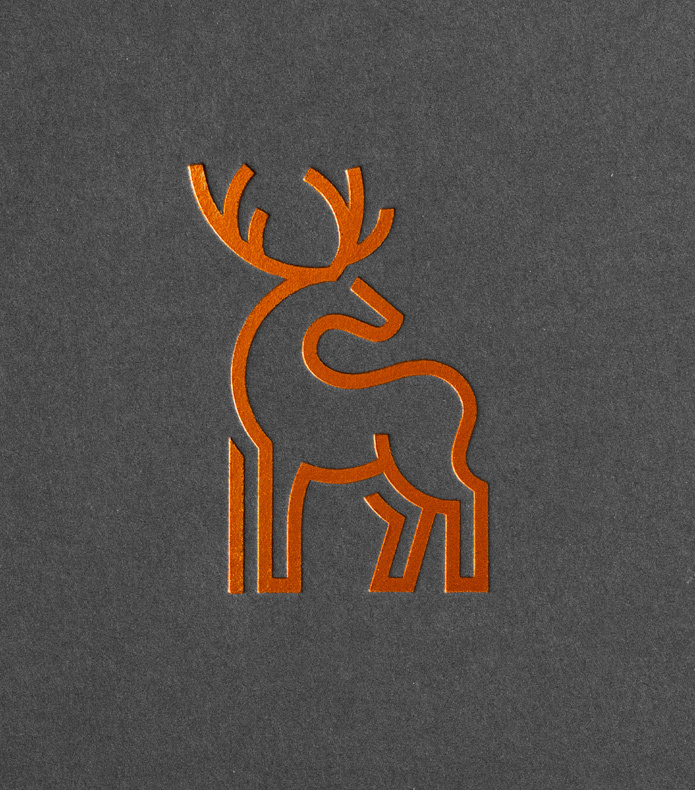 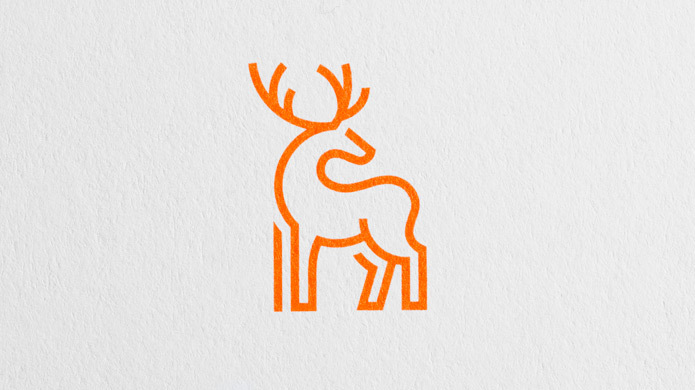 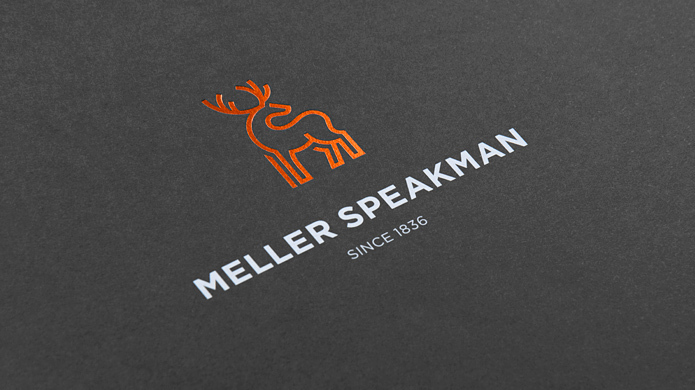 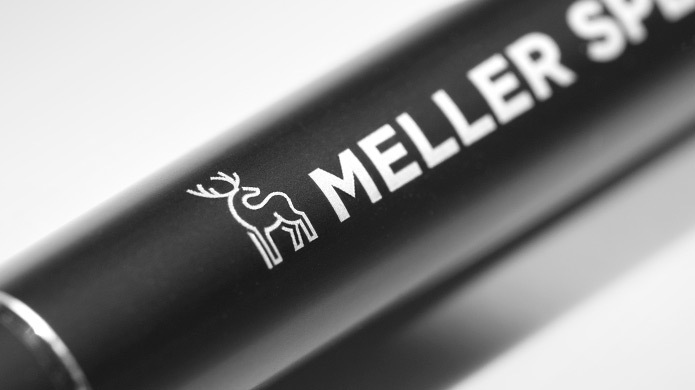 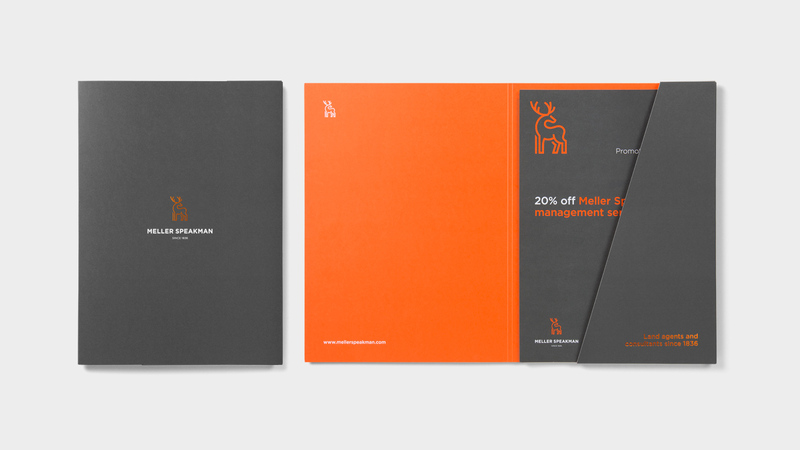 We developed a strong, new brand marque which truly represents rural Cheshire through the use of the iconic stag. 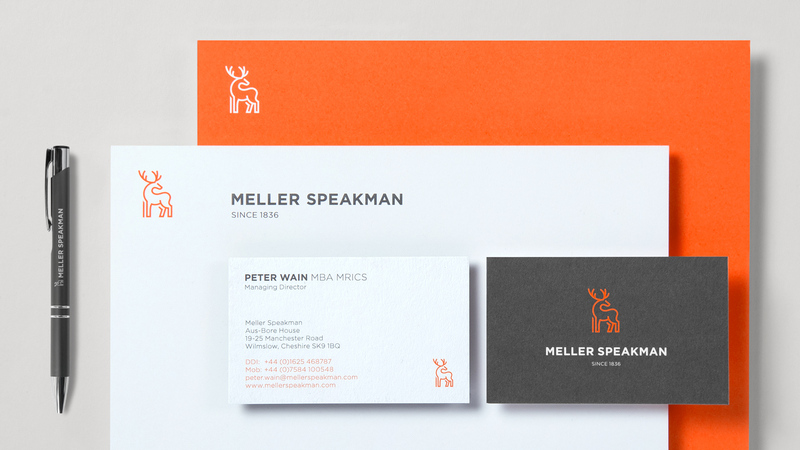 The bold aesthetic of the marque combined with geometric sans serif type and vivid orange helps create a modern, powerful brand which truly differentiates from competitors. 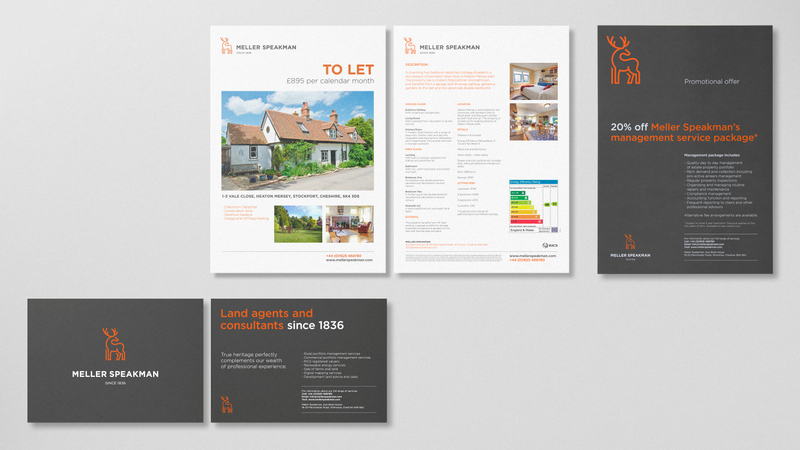 We provided a wide range of creative and marketing services including brand identity design, graphic design, photography, digital development, social media branding, exhibition materials and continue to do so.